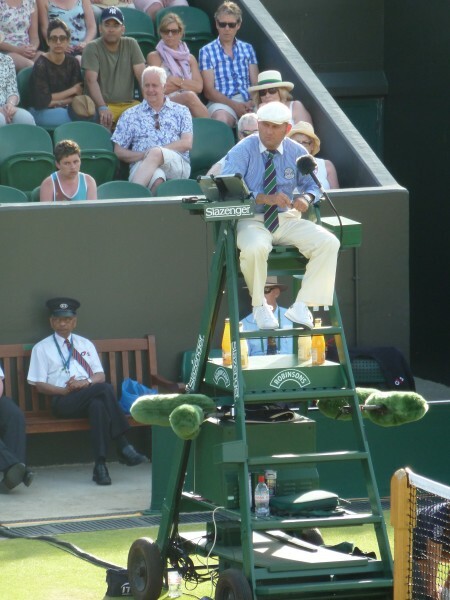 Roger Tagholm imagines what it would be like if the publishing world adopted the traditions of Wimbledon and lawn tennis. It’s not the only international tennis tournament, of course, but the Wimbledon Championships at the All England Lawn Tennis & Croquet Club, which concludes this weekend, are the oldest and generally deemed the most prestigious. With their trappings of tradition and history, glamor and money, there is something of the publishing industry about them. So let’s imagine if all of publishing really was like this famous fortnight in southwest London. How would it look? 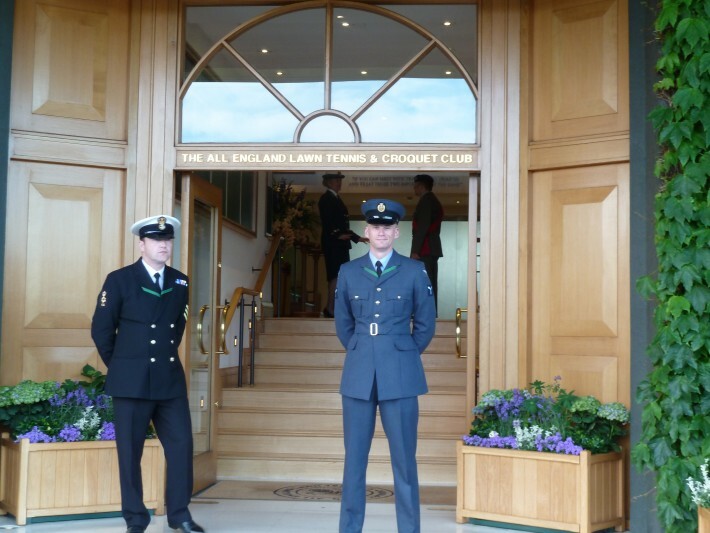 Your office is guarded by the Royal Navy, the Royal Air Force and the British Army. Your office would be in a giant, ivy clad building, guarded — no one quite knows why — by members of the Royal Navy, the Royal Air Force, and the British Army. On hot sunny days, Pimm’s and strawberries would be brought to your desk. There would be a Royal box just near the print station and water-cooler. Prince William and Kate could actually watch you edit! On hot, sunny days (what, more? In England? ), teams of young men and women would offer towels for your fevered brow as you returned to your desk. As you wiped your face you would marvel at how these boys and girls manage to walk backwards, mirroring your steps, one arm tucked behind their backs. What’s more, they hold umbrellas for you at lunchtime. At last! The speed of your work would be measured and broadcast by IBM on a screen at the end of the office. 108 M(anuscripts) Per Hour! Any negative decisions about proposals or jacket designs could be taken to an editorial Hawk-Eye, who would deem them either “In” the fall list or “Out” of the fall list. Cream-trousered teams of sub-editors would watch your every editorial stroke. Close auctions would be held in the Far East on all-expenses paid trips known as Thai-breaks. Everyone would be reading What We Talk About When We Talk About Love-40. Everyone would also be reading Love-15 In the Time of Cholera. A retractable roof would allow summer sunshine to bathe your workstation, or would protect it from winter storm. Seating around the Royal Box would be occupied by celebrities. This year Wimbledon has already seen American Vogue editor Anna Wintour, Niall Horan from One Direction, and actress Denise van Outen. “Salmon and cucumber” ties — the nickname derives from the pink and pale green colors denoting London’s Garrick Club — would be everywhere. The club has a strong Wimbledon connection. A.A. Milne, who was a member, left it an annual bequest in his will, and we need remind no one that his immortal creation Winnie the Pooh triumphed at Wimbledon in 1948 in a celebrated singles against Bambi. Winning the Pulitzer, the Man Booker, the Prix Goncourt, and the Miles Franklin would be the Grand Slam. On Valentine’s Day you would clamber over desks, just as Pat Cash climbed up to the player’s box in 1987, to declare love to that new intern. That’s how it would be if publishing was like Wimbledon.